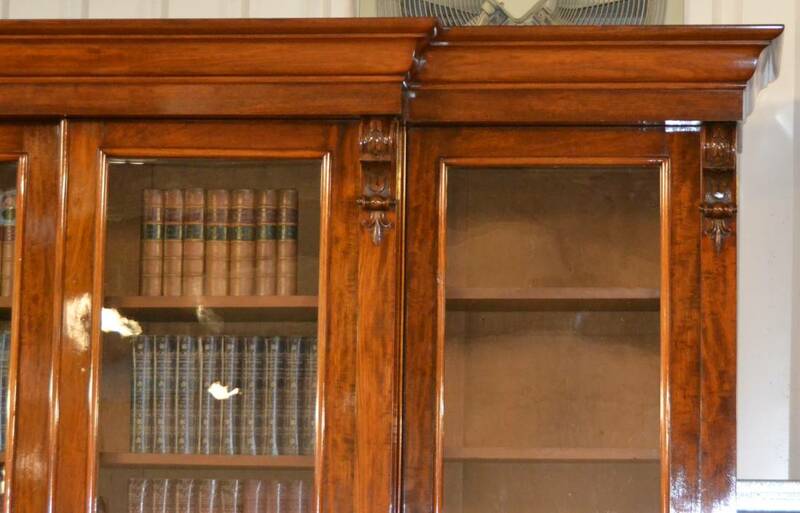 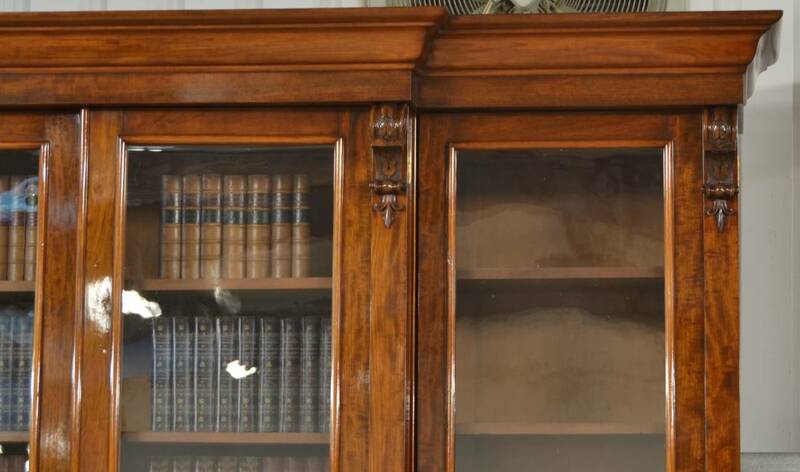 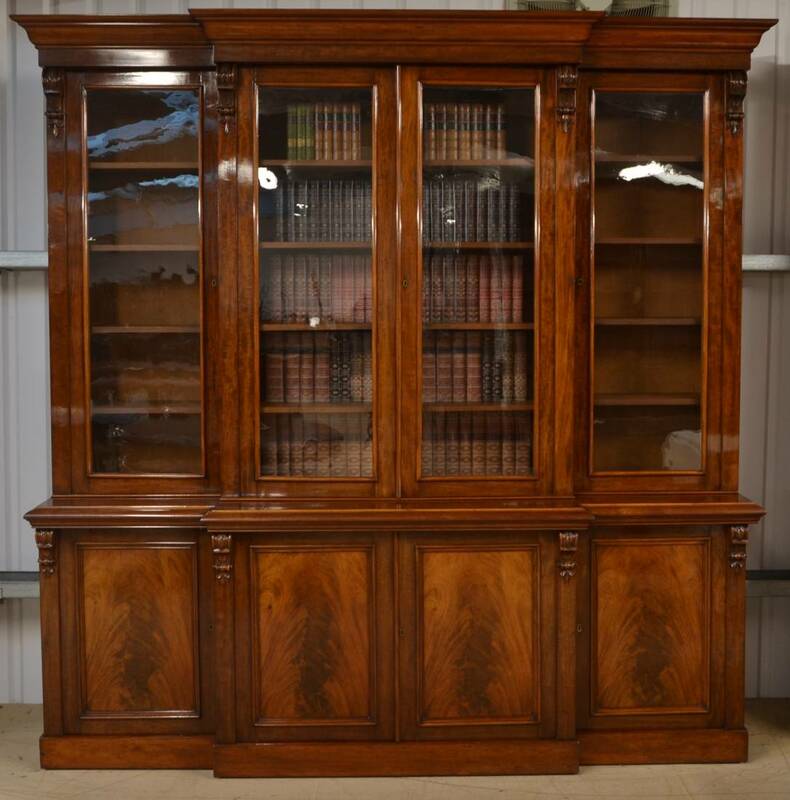 Of Superb Large Proportions and Ideal for Large Book Collections, This Magnificent Library bookcase is truly stunning and dates from around 1830. Of Superb Large Proportions and Ideal for Large Book Collections, This Magnificent Library bookcase is truly stunning and dates from around 1830. 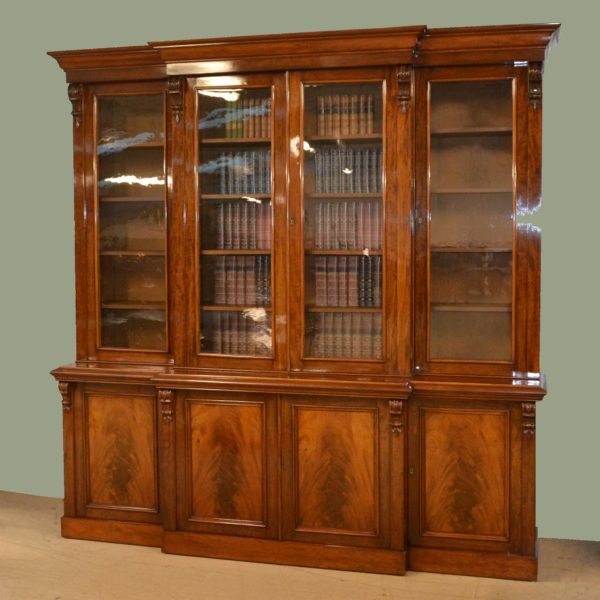 It has a deep moulded break fronted cornice above four glazed doors with moulded edges and spectacular carved corbels and each interior comprises of four adjustable shelves. 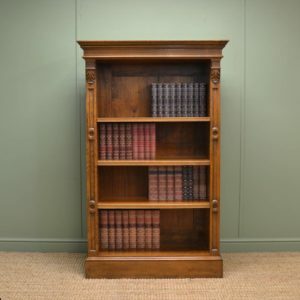 The lower section has a break fronted moulded top above four cupboard doors with beautifully figured central panels, moulded edges and once again beautiful carved corbels. 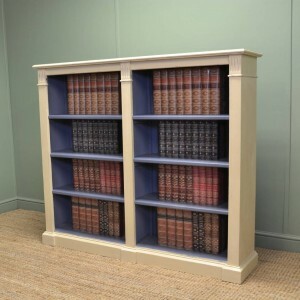 Each interior has one central shelf and the piece as a whole stands on a plain break front plinth. 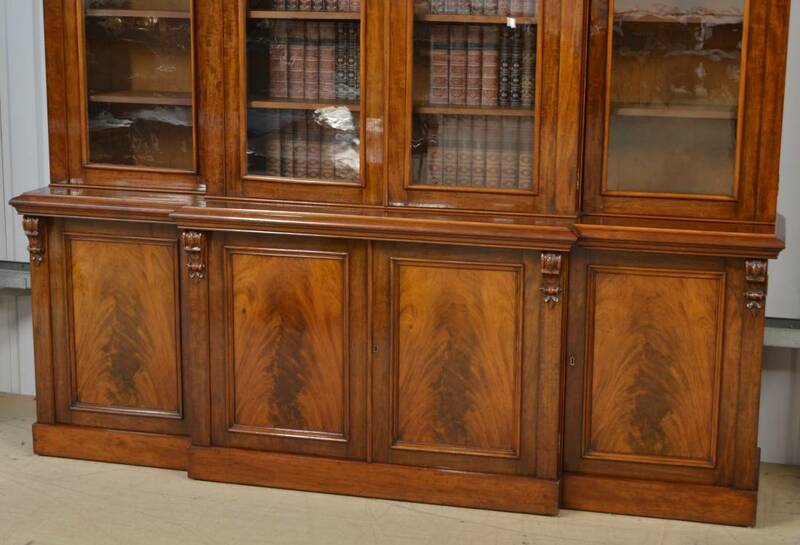 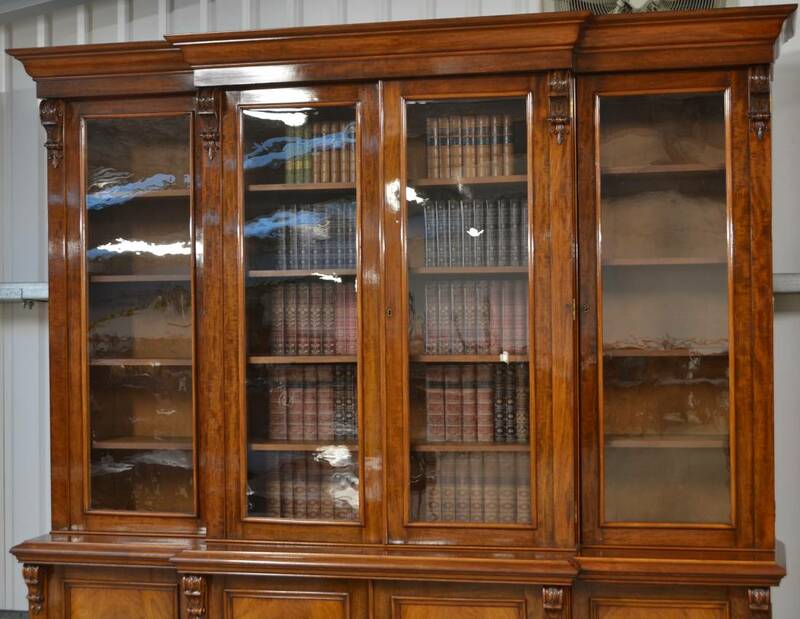 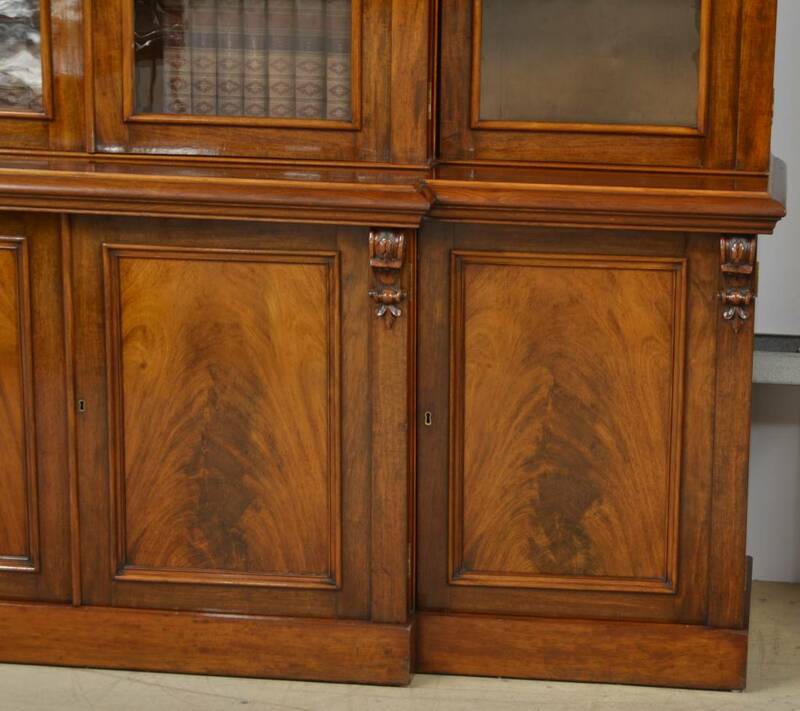 This sensational bookcase splits into five sections for easy removal and is in superb original condition. 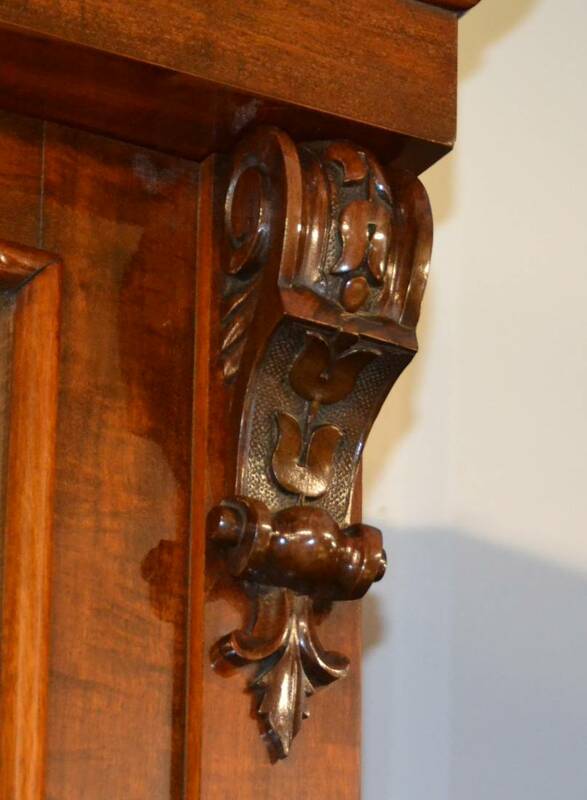 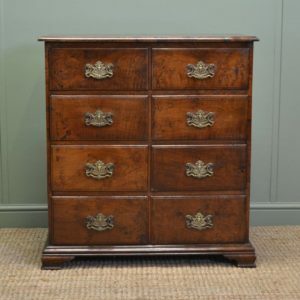 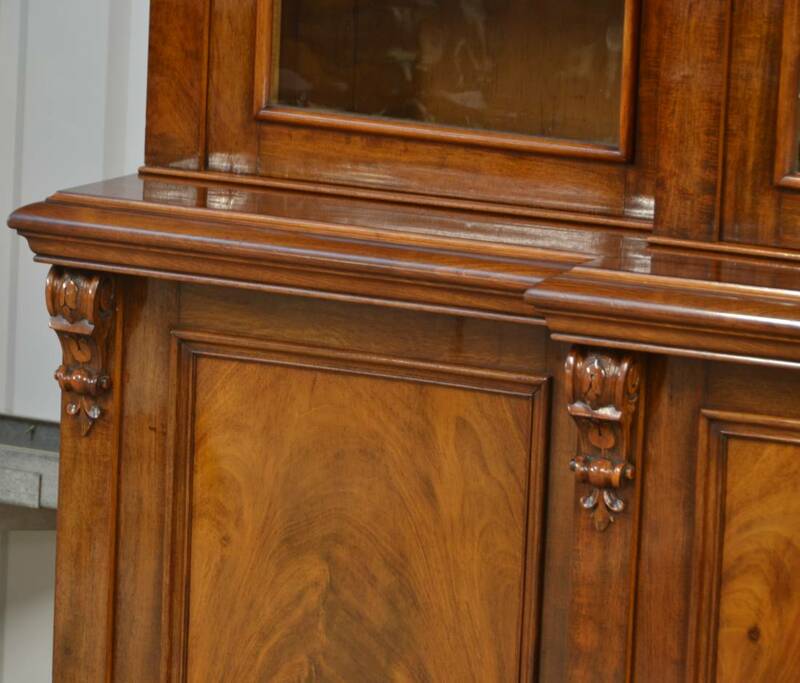 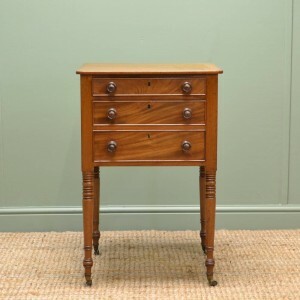 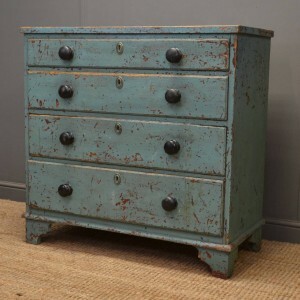 The mahogany has aged to a rich shade with a striking grain, good patina, is in very good condition and has been beautifully cleaned using a traditional form of wax finishing.